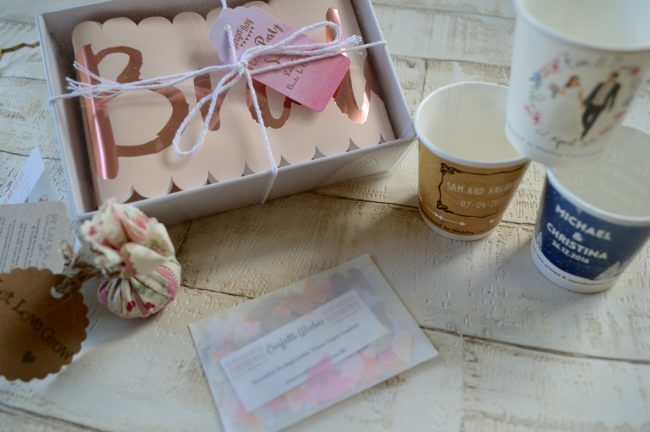 The Blushing Bride Box is the perfect monthly subscription box for any bride to be. 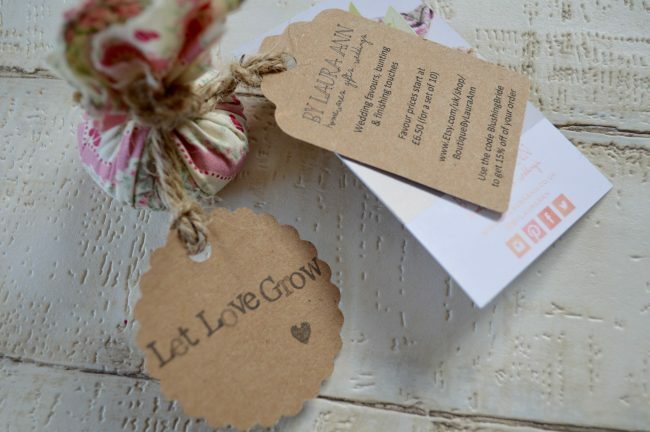 Every box is packed with items to help inspire you through the planning stages of your wedding. I love a great subscription box, having been getting a monthly date night box for almost a year now. 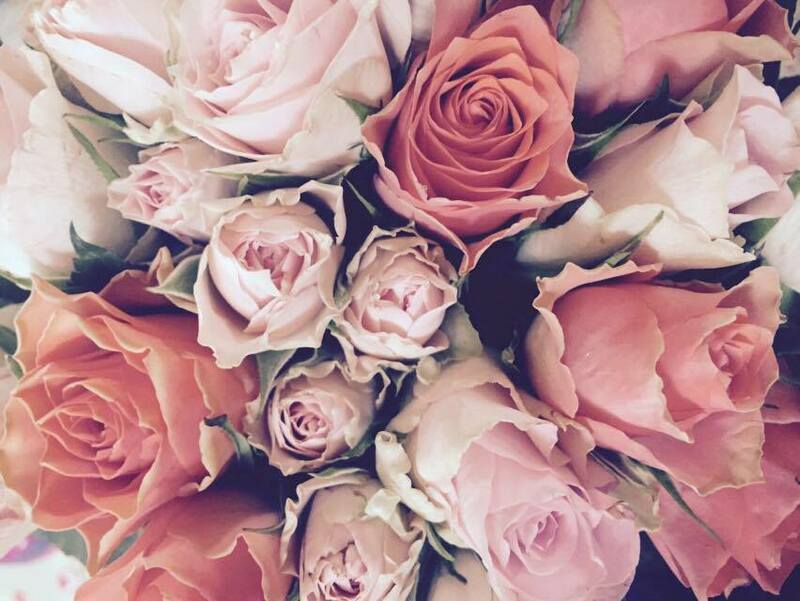 I had fallen in love with the Blushing Bride Box over on their stunning Instagram account. Having seen the types of items included in their boxes I knew the box would be full of high quality items. However I still wasn’t quite sure what to expect, as they keep some secrets to keep you excited until your box arrives. Some monthly subscription boxes are not always the best value for money, to I was keen to see how this one compared. Opening up my Blushing Bride Box, I was greeted with an array of lush items. 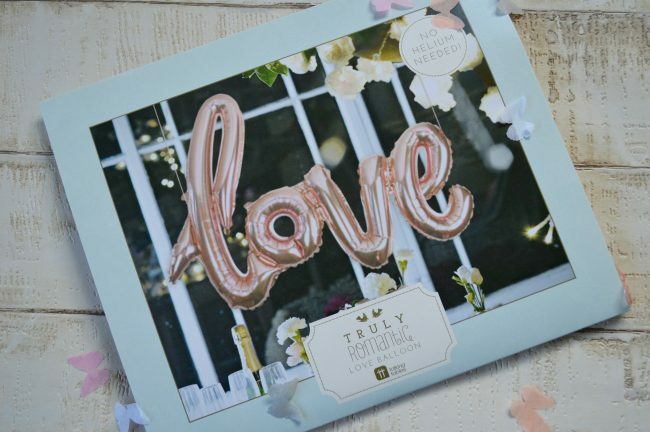 A ‘love’ balloon in a rose gold colours, that doesn’t need helium to inflate, as it has strings to hang it with. 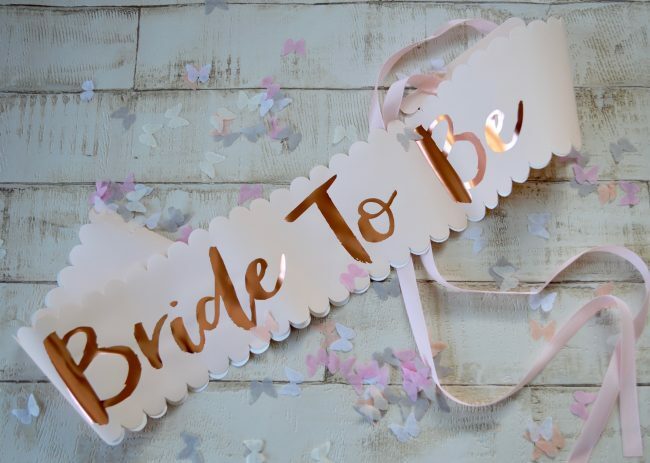 A count down to our wedding day chalk board, along with a lovely ‘Bride to be’ sash perfect for your hen party. This month there was also a lovely ‘Best day ever’ cake topper. Then there were samples of items from various different companies. 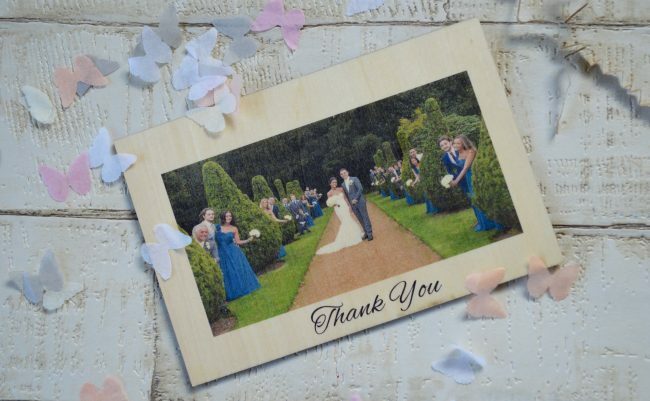 All lovely items and great to see items before buying them, however some are really not usable for your own wedding. 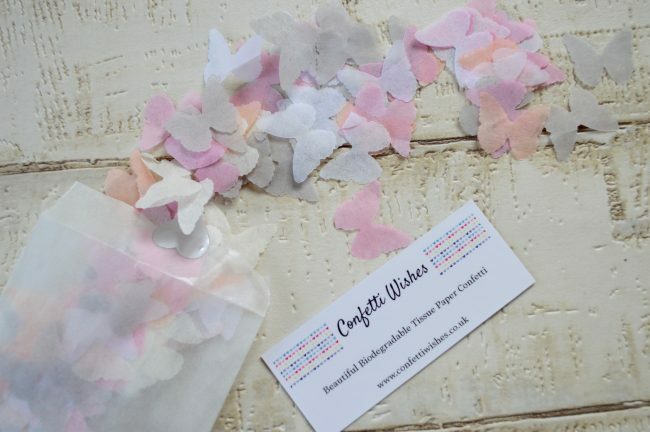 But I guess thats ok as you can see the quality of the products from different companies and get ideas for something a bit different that maybe you haven’t seen before. You are also able to see that there are so many little companies out there that produce beautiful things for weddings at great prices. The subscription starts at just £19.99 a month on a rolling contract, with discounts depending on how many months you subscribe for up front. The boxes are posted out around the 20th of each month, mine arrived about the 23rd just as we got back from our holiday, something to look forward to at the end of the month. I am really impressed with these subscription boxes. It really is the perfect gift for any bride to be. Planning your wedding can be a stressful event, looking for something a bit different isn’t always easy. These little boxes bring a bot of luxury to your door each month to help you with your planning and bring that excitement with not knowing what you will be getting. 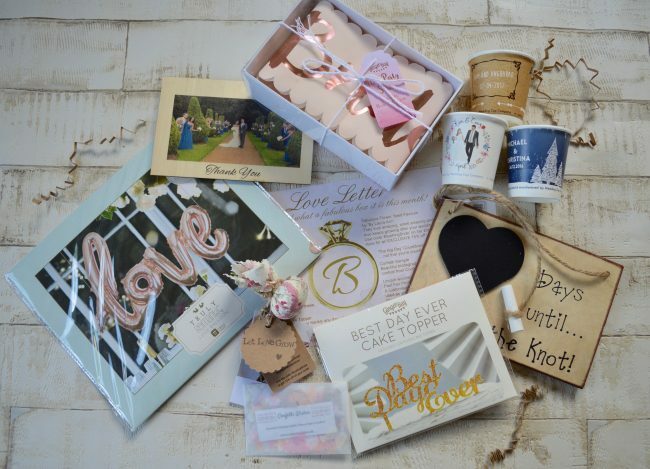 So for any bride or groom looking for a wedding subscription box this is perfect for you.